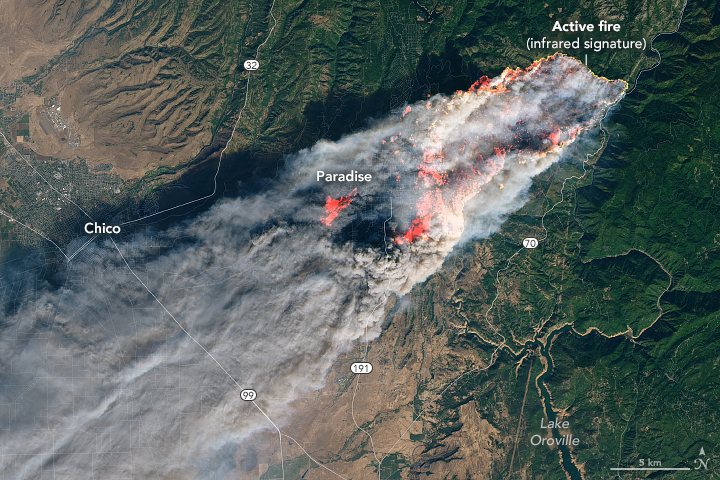 Strong winds pushed the fire to the south and southwest overnight, tripling its size and spreading smoke over the Sacramento Valley. The Moderate Resolution Imaging Spectrometer (MODIS) on NASA's Terra satellite captured the natural-color image above on November 9. 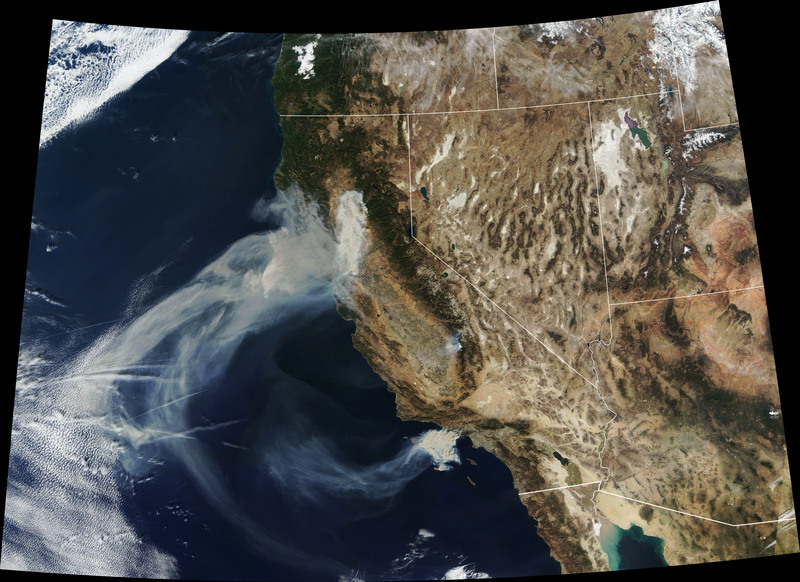 The High-Resolution Rapid Refresh Smoke model, using data from National Oceanic and Atmospheric Administration (NOAA) and NASA satellites, shows the smoke should continue to spread west. 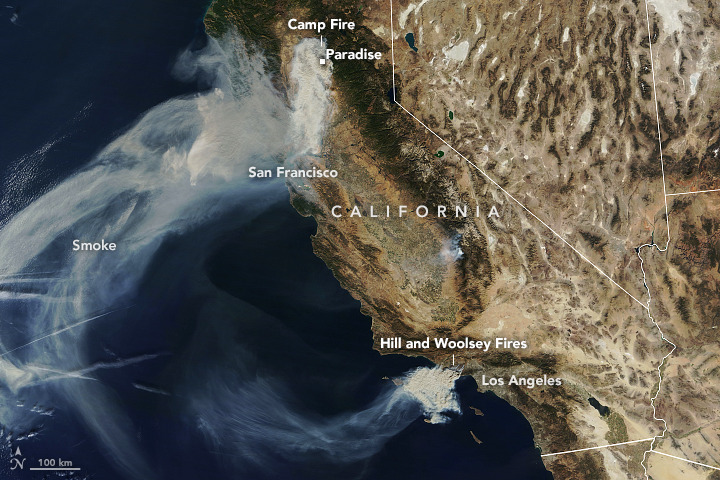 The image also shows two more fires in southern California, the Hill and Woolsey Fires. California Department of Forestry and Fire Protection (2018, November 9) Camp Fire Incident Update � AM Accessed November 9, 2018. Sacramento Bee (2018, November 9) Five dead in Paradise: Camp Fire consumed their cars as they tried to escape. Accessed November 9, 2018. Wildfire Today (2018, November 9) Wildfire Smoke Map. Accessed November 9, 2018.